Home - Creative CNC in Bradford Ontario. After 25 years of CNC work, operator, programmer and lead hand, I decided to open my own machine shop. Utilising many methods and materials your parts can be realised. Using existing machines or building special contraptions out of aluminium, plastic, even MDF machines to get odd jobs done. 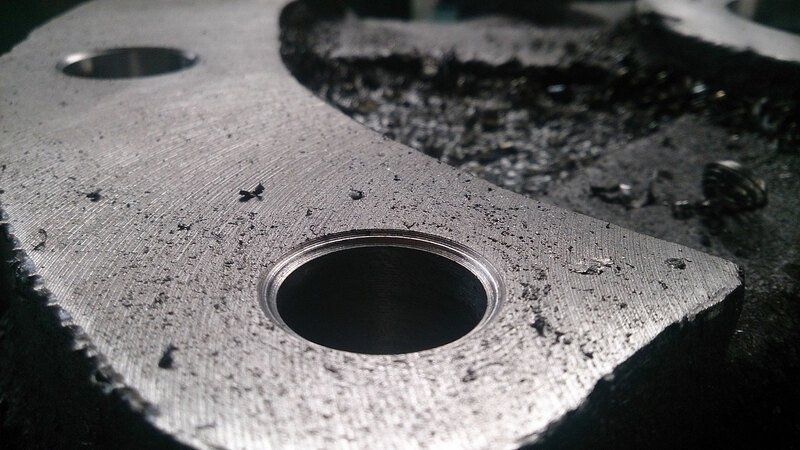 Utilising manual and CNC machines to turn, mill, burn.... end result, you get your parts completed. At Creative CNC we offer very competitive prices and our work is top quality. We pride ourselves on delivering outstanding quality and value for your money. Experience matters and we have lots of it in the CNC industry. We have a wide variety of CNC machines to get your job done right and CAD/CAM is used to design parts and program the machines. We have the tools to get your job done. 4 foot x 8 foot x 10 inch router table with full 3-D capabilities, manual and CNC lathes and Plasma Cutter. Using manual and CNC machines as well as old fashion 'figure it out' the jobs get done, sometimes with design improvements along the way. 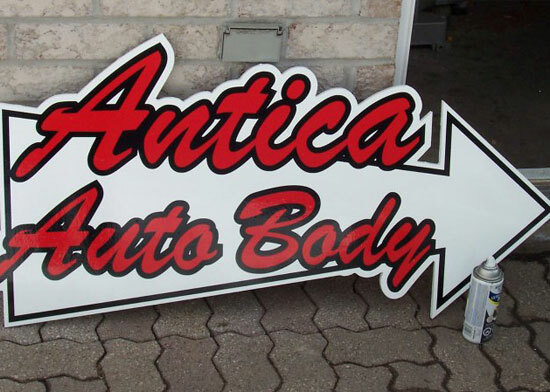 We offer custom vinyl decal cutout services in and around Bradford Ontario. 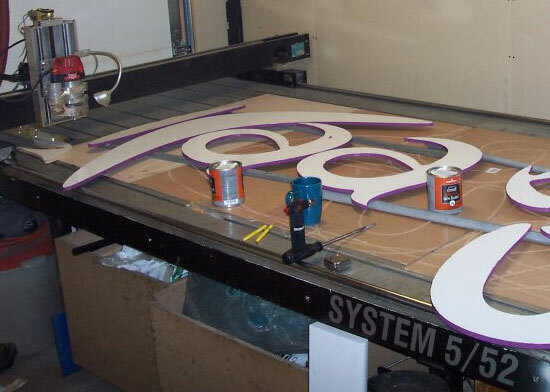 At Creative CNC in Bradford we provide large panel profiling services to make your signs pop. 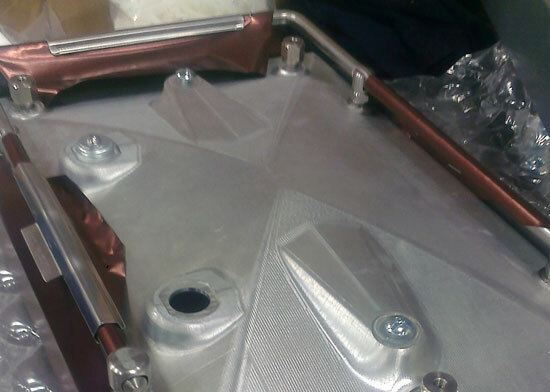 Full 3D shapes can be machined from customer's geometry. 4 axis machining available up to 16 inches long x 8 inch diameters. Give Steve a call today at Creative CNC today to find out how he can help with your project. Creative CNC is located in Bradford Ontario and we serve the Greater Toronto Area including: Newmarket, Aurora, Barrie, Mississauga, Brampton, Oakville and Toronto. It is easy to contact Creative CNC in Bradford, Ontario. Send us an email or give us a call anytime to discuss your CNC needs.